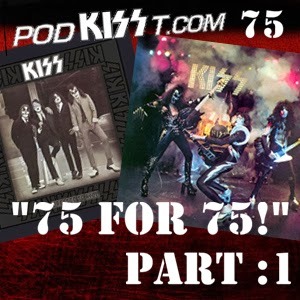 KISSopolis: PodKISSt #75 - “75 for 75! PodKISSt #75 - “75 for 75! Face front, KISS Army! This is our celebration of a magic number in KISStory: 75! 1975 was an explosive year for the hottest band in the land, and what better time to celebrate it than now, on our 75th installment of PodKISSt! Join us for this 2-part rock and roll party as we bring you rare live audio from 1975, an in-depth analysis of the “Dressed to Kill” and “Alive!” records!